NBA great ... man of steel ... but can he lead ailing Motor City? 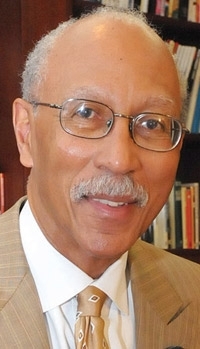 Dave Bing: Automotive News All-Star takes charge in Detroit. Anyone who can make the All-Star teams of both Automotive News and the National Basketball Association is nothing if not versatile. Dave Bing will need to make full use of that versatility -- and a lot of other skills -- in his newest, toughest job: mayor of Detroit. After Bing, now 65, retired from the Detroit Pistons, he founded a steel company in the city. General Motors named him a supplier of the year in 2003. A year later we named the Hall of Fame guard our All-Star in the Diversity Affairs category, noting that many of his employees came from the low-income neighborhood near his plant, and that he had built housing in the area. Last week Detroit voters chose Bing, a first-time political candidate, over an interim incumbent. Bing will complete the term of former Mayor Kwame Kilpatrick, who was removed from office in an obstruction-of-justice scandal.